CROATIE – Split -An amphitheatre from the 4th century has been discovered in the Adriatic port of Split. 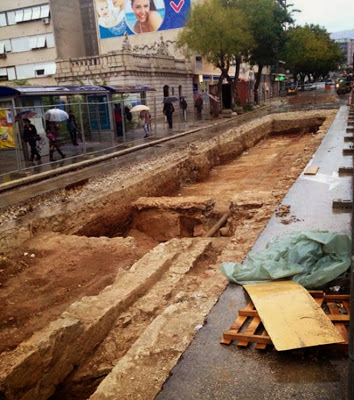 Archaeologists have this week shown the amphitheatre was under one of busiest roads in centre of the 1,700 years old Croatian city.Local archaeologists have commented this was one of the most important archaeological discoveries in this area in last 100 years. “According to the latest research findings, which are still in progress, it was discovered that this is not a theater but an amphitheater with an arena in the range of 50 meters. Because of this discovery, we will not stop life in the city, but we will preserve the site and fill it in temporarily until we prepare its presentation. It’s not simple. It is very complex, but also possible, but for that we will need additional funds. In speaking with city officials it has been agreed to access EU funds. We will create a valuable project that will at the very heart of Split and show the monument in all of its exceptional quality, ” said the head of the Conservation Department Radoslav Bužančić at a press conference held to announce the discovery. 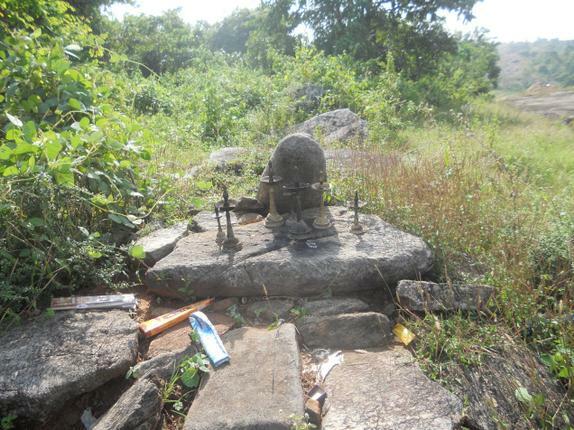 INDE – Kayarampara - A megalithic burial site has been found at Kayarampara in the Kuthanur grama panchayat of Alathur taluk in the district, K. Rajan, Head of the Department of History, Government Victoria College, Palakkad, said on Thursday.V. Pushkala, a postgraduate student of the college during 2004-06, found the site, Prof. Rajan said adding that he had inspected the site along with others on Wednesday. 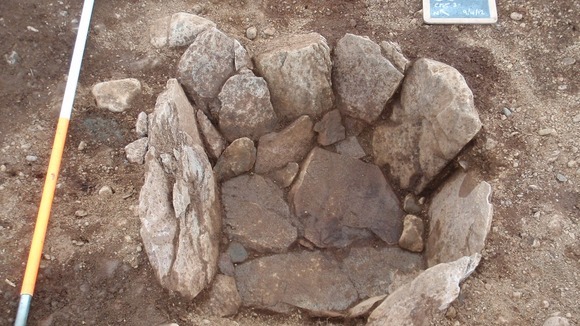 Several types of megalithic burials such as stone circles with cists and dolmens, cairn circles, capstones etc., had been noticed. 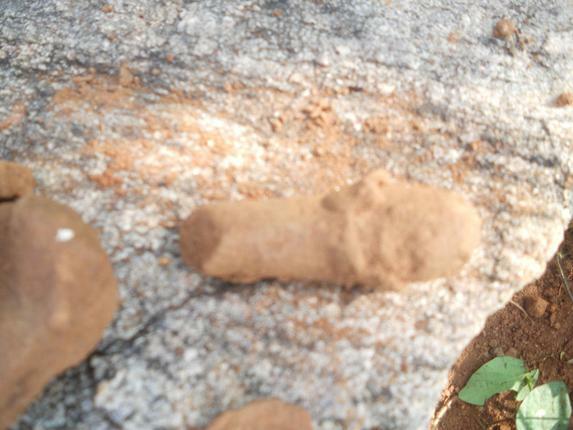 Terracotta objects, including phallic symbols and pot shreds had been found around the burials, he said. Huge boulders had been used to form circles around some of the burials. Two of the cist burials had an unusual packing with stones and these were in a square formation, Prof. Rajan said. Such findings underscored the fact that there were several hillocks in the region which needed a thorough search, Prof. Rajan added. ROYAUME UNI – Stranraer - The Guard Archaeology team unearthed an additional two empty cists at the farm in Stranraer. The cists, which are ancient graves, indicated to the team that there was a possible attempt by the family of the young child to set aside graves near to the body. The team also highlighted that stress indicators on the skeletal remains may have indicated a wider problem for the community at that time, perhaps a food shortage or onset of disease. 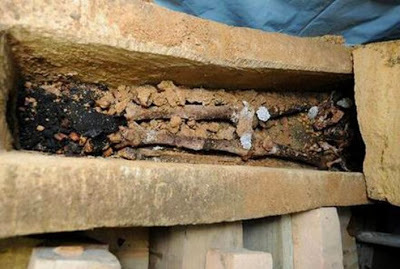 The report states that this implies that the community understood and planned an individual's burial practice well in advance of that person's death. ROYAUME UNI – Lincoln Castle - A stone Saxon sarcophagus found beneath Lincoln Castle has been opened, revealing the remains of what is thought to be a prosperous or important figure in the city.Archaeologists found the coffin within the walls of a previously unknown church which is thought to date back more than 1,000 years.It was found three metres below ground level in a small area being excavated for the construction of a lift shaft.Experts used specialist equipment to create 3D scans of the sarcophagus before it was excavated and the lid was removed. "It has been very exciting," said Mary Powell, project manager for Lincoln Castle Revealed. "It has involved a lot of planning and it has been a very delicate operation but it has gone well. The important thing is that we take care and treat it with great respect as it is a burial. 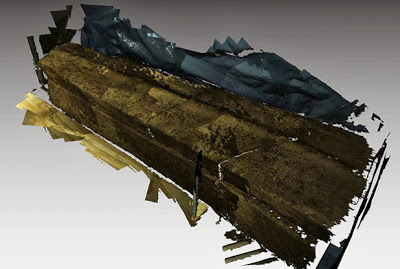 "The lid to the coffin has been removed in three sections after cracking over many years.Once the lid is totally removed, the 3D scanner will be used again to give a better picture of the contents. "It is great for Lincoln," added Mrs Powell. "We know very little about Saxon Lincoln. We still think it is someone of importance and the fact it was wearing leather shoes or boots adds to that. That discovery was very unusual. The Archaeologists were very, very surprised. "The skeleton which was inside appeared to be wearing leather footwear, something unusual for the era, prompting speculation that it could be a Saxon king.